Library and information service managers in the 21st century face a number of challenges. Managing digital resources and achieving a balance between the access and archive functions is a key issue for all information service managers, as is the development of virtual services and the subsequent complexities of managing the hybrid library, with its blended multi-channel information service delivery. A positive engagement with change is needed to inspire and challenge information professionals to think creatively about the importance of information management. This essential textbook draws together in an accessible form the principles of management as they need to be understood by information professionals today. 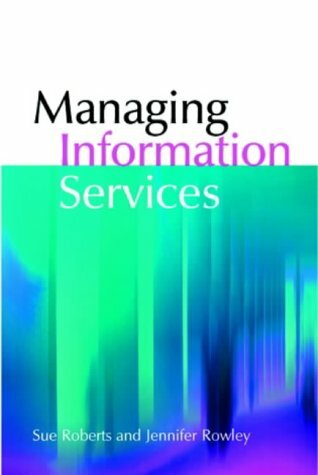 Written by a team that comprises a practising information services manager and a management academic, the text introduces and applies the latest management concepts to information services practice. Well illustrated with relevant examples, checklists and models, chapters conclude with a list of further reading and with review topics, which can be used as the basis for revision for study purposes or as a prompt to encourage reflection on the content of the book for the professional reader. The core of the book focuses on the key areas that constitute the management role. This is a key text for students of library and information management, designed to introduce them to the practice, experience and theoretical principles of library management. In particular it should prepare them for their first posts as library managers, and can be used as an on-the-job training guide for staff new to management. Practising library managers will also benefit from revisiting the topics covered in the book.